There are many cafés and restaurants close to the University of Hamburg offering a fast snack or a sit-down meal during the congress breaks. 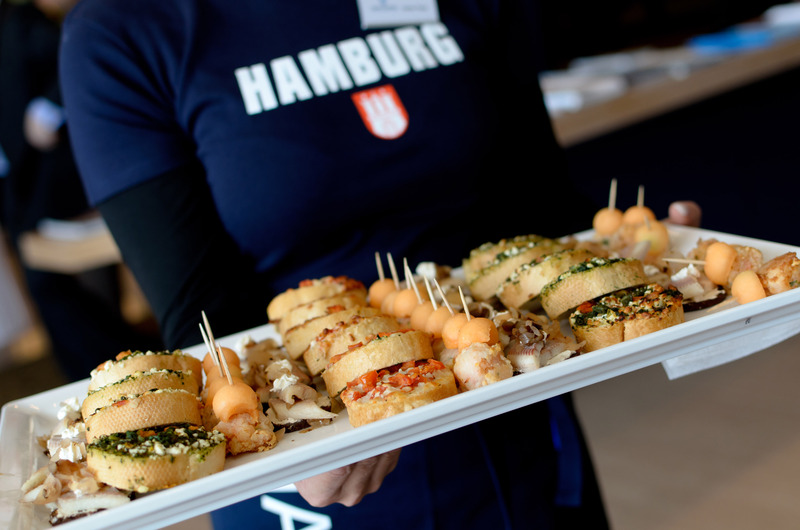 Try out the following recommendations or search for a restaurant in Hamburg. All recommendations are within a 15 minute walk (about 1km max.) of the conference venue. On campus, you’ll find three student cafeterias providing a wide range of meals including salads and vegetarian dishes. open Monday – Thursday 11 a.m. – 3 p.m. and Friday 11 a.m. to 2:30 p.m.
open Monday – Friday 8 a.m. – 7 p.m. and Saturday 8 a.m. – 2:30 p.m.
open Monday – Friday 9 a.m. – 7 p.m.